American Bullion is proud to be a member and Authorized Dealer of the Professional Coin Grading Service (PCGS). Here is a quick overview of who they are, what they do, and why they’re important. PCGS began in 1985 when several rare coin experts realized that the coin collecting market lacks a universal standard to determine coin values and market prices. They aimed to create a third-party appraisal system for a coin’s physical condition that would offer guarantees and work with a nationwide network of reputable coin dealers in order to protect rare coin collectors. PCGS employs some of the world’s top numismatic experts to inspect the characteristics and physical condition of each coin they receive. The graders enter their assessments into a computer database until a consensus is reached on the final grading of the coin. The graders are extensively trained using sets of U.S. and international coins graded on PCGS’ grading standard. To learn more, view PCGS’ full grading standards. 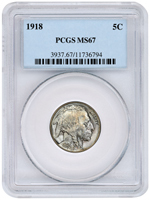 Each coin PCGS grades gets sonically sealed in a protective and tamper-proof NumisCap holder. A special label is attached containing the coin’s certification number, grade, date, denomination, and unique bar code. The case also has a holographic emblem on the back to prevent counterfeiting. They are designed to be stackable. All U.S. and World coins graded and encapsulated by PCGS are guaranteed genuine. The grade of all U.S. and World coins graded and encapsulated by PCGS is guaranteed. Read the full PCGS guarantee online. PCGS certifies coins from over 100 countries. The PCGS online Price Guide, a comprehensive list of prices for PCGS-graded coins, is updated daily and receives over 100,000 visits per day. PCGS recently opened CoinFacts, an online database containing information for every U.S. coin. PCGS’ Population Report contains a census of all coins they have ever graded. PCGS travels to more than 15 different locations worldwide to visit coin shows every year. They recently signed into partnerships with the national mints of Poland and New Zealand to establish regional coin submission centers. When looking to purchase gold and silver coins, choose a reputable dealer authorized by professional numismatic organizations such as PCGS to ensure the coins you are purchasing are of the utmost quality and authenticity. American Bullion is proud to be one of those dealers. 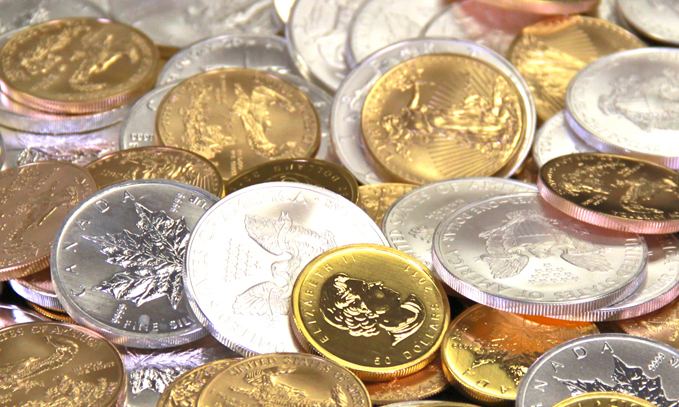 Call us today at 1-800-326-9598 to speak with a precious metals specialist about opening a Gold or Silver IRA capable of holding PCGS-graded coins.